February | 2011 | play.pause.stop. J passed me these whole load of books she bought last year. 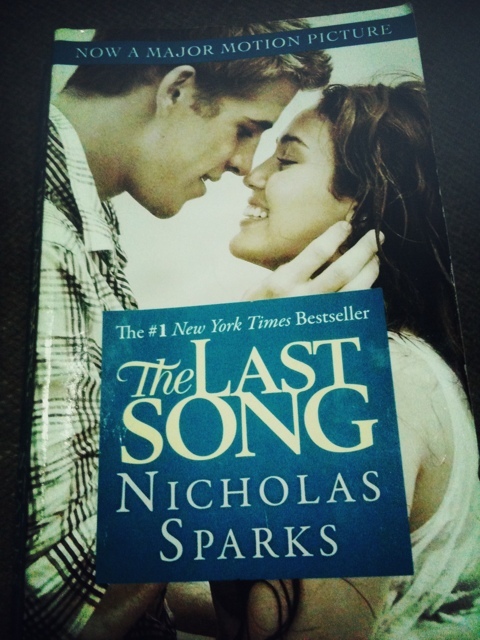 And one of them is The Last Song b Nicholas Sparks. A superb author i must add. This book cant make me stop reading it! So addictive. I need to watch this movie! 😦 Like right now.. Relationships last long not because they’re destined to last long. Relationships last long because two brave people made a choice: To keep it, to fight for it and to work for it. The holi-week was great, thou short. 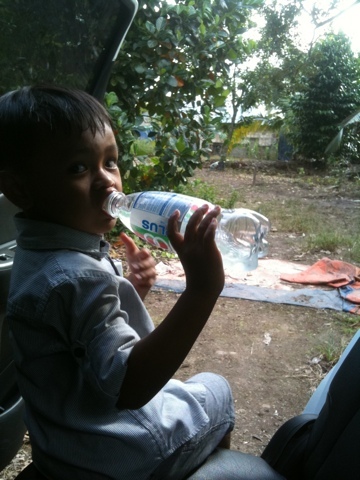 H’s family in JB had a small wedding event so we brought LilT back to H’s village in Parit Rasipan. Lil’T is lucky that his dad still has a village to go home to. This is ‘A Walk to Remember’. Here’s H introducing his little town son what a village is all about. The parit H was so keen in showing us. More like a sungai actually. H told us when he was younger, his cousins and himself used to swim innit and swam across to the other side. Apparently, the whole hectare of land belong to my mil’s family. 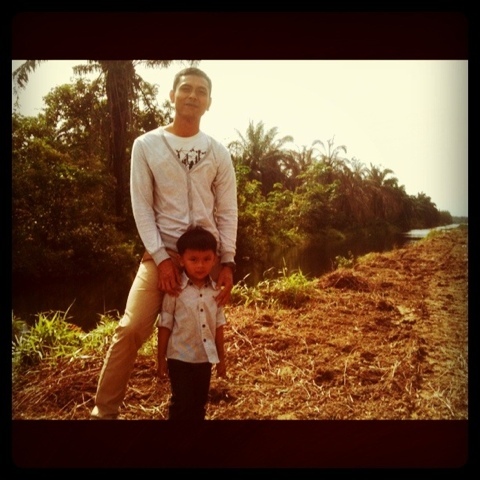 When H said he wanna take a dip in that parit with the son, the very over-protective me said Noo! It was after a flood, u’ll never know what was swept into that water don’t u? Mom was a bit girly. She decided it was too humid in the house and decided to ‘lepak’ in the car with the aircon on. Where is my adventurous-self?!! But, however, I wished i still have a village to go home to. 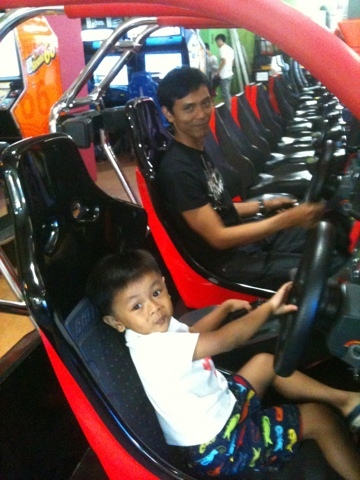 Isn’t it fun?